Unification Family Therapy: True Father, "Mother is the Owner of my Heart"
No one of True Children can claim that he has been more united with Father. Mother was always side to side in all Father's difficulties. She is the one that knows best his heart and teachings. That's fathers core teaching; wife inherits the position, authority everything from the husband. No matter if she has the same education or life course. But Mother proved with all her life, her complete obedience and unity with Father. The principle of growth says, that one learns and develops love through life experience, by living it in the daily life. Even TF cannot master love without his partner - Mother. "You have been born through True Mother. Remember that the favor bestowed by the True Parents is a great blessing that cannot be exchanged for anything in the whole universe." Throughout history, women have been persecuted, but.. the coming world will be one of reconciliation and peace based on women’s maternal character, love, and sociability. The time is coming when the power of women will save the world. So this great saint of world.. now that I am old I make many new demands on her, and she always responds... The older I become, the more precious my wife is to me. This is a really important quote from Father that illustrates the heart of the Divine Principle that True Parents are one, much needed in these confusing times. Hanguk (한국) means 'Korea,' 'South Korea,' or 'Republic of Korea' in Korean... Hanguk...Han nation...True Mother is Han Hak Ja. True Father victoriously found the "Only Begotten Daughter of God". Thank you True Father. 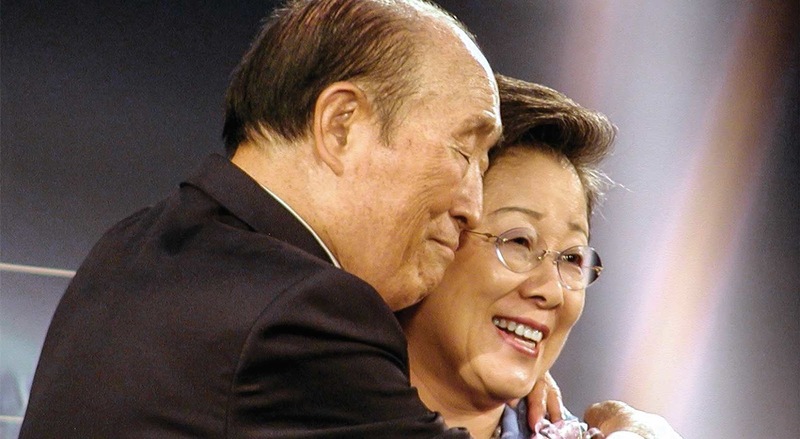 Our deepest gratitude also to Dae Mo Nim for her great and endless sacrifice for True Parents to exist on earth. Let us unite with True Mother if we want to also be victorious! AJU!